The reality of the Islamic religion is that it is infiltrating our schools, churches and communities. We must be ever vigilant as this ‘religion of peace’ silently slides into our way of life and like a cat waits patiently for the right moment to kill its prey. We have heroes among us who understand this ‘religion of peace’ for what it is. 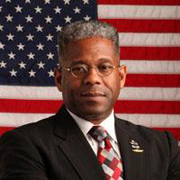 I have enclosed videos of our hero Colonel Allen West who unabashedly explains exactly who the Islamists are. 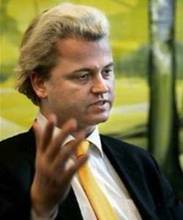 Greet Wilders from the Netherlands is being tried again for his position on the ‘religion of peace’. His second trial began in Amsterdam this month and the judges seem determined to find him guilty of inciting hatred against Muslims. Let’s not deny that our heroes are being penalized for revealing the truth about the Islamists and their religion. The MSM sold Obama to the American people by deceit. They proclaimed that he was ‘the one’, brilliant and a constitutional scholar. How could America go wrong? One of Obama’s first Executive Orders closed Guantanamo Bay and to this day he is unable to bring this to fruition because of the terroristic nature of the ‘inmates’. We have witnessed in the time he has been in office how he has bowed to the Saudi Arabians, apologized for America in so many ways we have lost count. His speech during his visit to Cairo, Egypt on June 4, 2009 to our bewilderment laid out his plans for the Muslims and the Transformation of America. Obama told the world that the Holy Koran teaches, “Whoever kills an innocent is as if he has killed all of mankind. Who ever saves a person is as if he has saved all of mankind.” He also stated that, “We acted out of fear and anger and it provoked an act contrary to our traditions and ideals,” referring to the Iraqi War. He called the perpetrators of 9/11 ‘violent extremists’. When in essence we all know they were Islamist terrorists. He then proceeded to say that, “Islam has a proud tradition of tolerance.” He also uttered these words, “And throughout history, Islam has demonstrated through words and deeds the possibilities of religious tolerance and racial equality.” His speech could not be clearer as to who he was planning to elevate…the Muslims. We were all shocked to see Neda killed in June of 2009 during the Iranian election protests. We were even more disgusted with Obama as he never spoke in support of the protestors until after Neda’s murder. Do you remember Obama asking Mahmoud Ahmadinejad to step down? Ahmadinejad ‘won’ his election after the Ayatollah Khamenei declared him the winner. The Iranians wanted a ‘fair’ election and got tyrant Armadinejad. On February 4th Obama asked Egyptian President Hosni Mubarak to step down ‘now’ even though he knows that Murbarak has been an ally. Our freedom of religion and freedom of speech have facilitated the devout Muslims in taking from us those very freedoms. Make no mistake that ‘political correctness’ will kill us all if we continue to submit to the elite Socialists/Democrats. These very same people persist by having multiculturalism taught in our colleges and universities. Multiculturalism is being rejected in France by President Nicolas Sarkozy, also by German Chancellor Angela Merkel and by British Prime Minister David Cameron. Multiculturalism has failed miserably in these European countries. What are we waiting for…to say we are sorry…we did not know? No, we must not give in to the accusations or demands of the Socialists/Democrats. Obama has all of sudden found the ‘Christian God’ not unlike the killers in our prisons waiting for their execution. With one big difference, those on death row want salvation and Obama wants to be reelected in 2012. "We have been too concerned about the identity of the person who was arriving and not enough about the identity of the country that was receiving him." With that, Sarkozy joins Britain's David Cameron and Germany's Angela Merkel, among others, in recognizing that multiculturalism has failed to deliver on its utopian promises. "Sarkozy declares multiculturalism 'a failure'," from Agence France-Presse, February 11. British Prime Minister David Cameron last month pronounced his country's long-standing policy of multiculturalism a failure, calling for better integration of young Muslims to combat home-grown extremism. German Chancellor Angela Merkel, Australia's former prime minister John Howard and former Spanish prime minister Jose Maria Aznar have also in recent months said multicultural policies have not successfully integrated immigrants. The lights are going out all over Europe. All over the continent where our culture flourished and where man created freedom, prosperity and civilization. Everywhere the foundation of the West is under attack. All over Europe the elites are acting as the protectors of an ideology that has been bent on destroying us since fourteenth centuries. An ideology that has sprung from the desert and that can produce only deserts because it does not give people freedom. The Islamic Mozart, the Islamic Gerard Reve [a Dutch author], the Islamic Bill Gates; they do not exist because without freedom there is no creativity. The ideology of Islam is especially noted for killing and oppression and can only produce societies that are backward and impoverished. Surprisingly, the elites do not want to hear any criticism of this ideology. My trial is not an isolated incident. Only fools believe it is. All over Europe multicultural elites are waging total war against their populations. Their goal is to continue the strategy of mass-immigration, which will ultimately result in an islamic Europe - a Europe without freedom: Eurabia. Wilders: "The lights are going out all over Europe"
The trial of anti-Islam MP Geert Wilders on discrimination and inciting hatred charges resumes in Amsterdam on Monday. Last October the trial was abandoned after senior court officials ruled several irregularities in the proceedings could be deemed prejudicial. New judges have now been appointed. Judges last week rejected calls by the plaintiffs for new prosecutors to be appointed. Several of the groups which have pressed for legal action against Wilders are angry that the prosecution department had also called for not guilty verdicts on all charges during the first trial. Work within our legal system to keep the Islamists out! Since portions of Mansfield ISD lie inside JohnsonCounty, we the JohnsonCounty Republican Party do hereby condemn the action of the MansfieldISDSchool Board and their administrators for trying to add Arabic language and Islamic culture classes as required subjects. We declare and demand that more focus should be placed on American Exceptionalism, particularly on U.S. History and Government, and specifically the Declaration of Independence, Constitution, and the Federalist Papers. Approved UNANIMOUSLY by TEXAS Johnson County Republican Party’s Executive Committee in open session, Tuesday, February 8th, 2011.